In 1846 the idyllic plot of land in Seneca Village, far north of the established city, seemed the perfect spot for the new All Angels Episcopal church. Within seven years the city fathers would come knocking on Father Peters’ door. The land on which the church stood, as well as the rest of Seneca Village, sat squarely in the designated area of the newly-planned Central Park. The city condemned all the structures standing there. 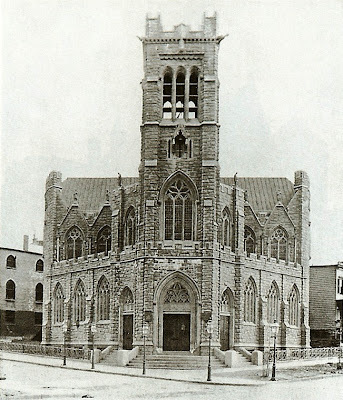 The new church, built two years later in 1858, sat on the corner of West End Avenue and West 80th Street. When the Reverend Dr. Charles F. Hoffman took over as rector in 1873 he envisioned a grander, loftier building. The extremely wealthy clergyman was worth an estimated $15 million and he volunteered to personally pay for the new church. And so once again the congregation of All Angels watched their church demolished and a new one erected. The stately building, costing the Reverend around $100,000, was spectacular. A two-and-a-half story Tiffany window, mosaic alter, limestone angels girding the pulpit and a sanctuary lamp from Venice decorated the interior which could seat 1,200 worshippers. Hardenbergh, who had designed the Dakota Apartment building in 1880 and the gargantuan Waldorf-Astoria Hotel on 5th Avenue at 34th Street in the 1890s, played with styles and periods in designing the parish house. Gothic tracery blends smoothly with tall Flemish dormers. Irregular limestone quoins rise at the corners to a two-story hipped slate roof. By framing the grouped windows of the second and third floors with a stone, Gothic arch, Hardenberg created the illusion of a two-story chapel window. An architect of symmetrical, ordered buildings, he allowed himself to abandon balance in favor of character as he did in, possibly, no other structure. 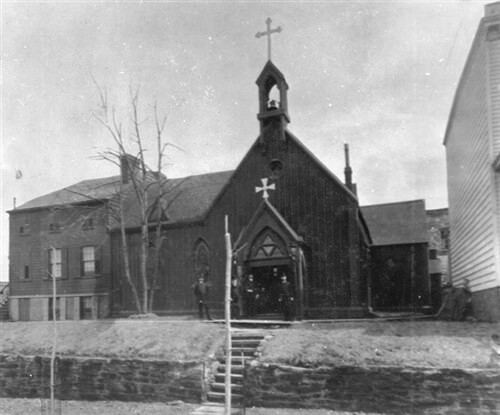 The parish house was the center of activity for the parish. Attesting to the forward-thinking of the church, it was here in 1922 – three years before the famous Scopes Trial and during a period when the religious and scientific did always agree – that Dr. Rayond L. Ditmars of the Bronx Zoo, gave a lecture on 30,000,000 years of evolution, accompanied by a 4,000-foot series of films, including scenes of dinosaurs shot using close-ups of a South African lizard. By 1976 the parish was in trouble. Changes in the neighborhood had reduced the congregation to 150 parishioners. The church, built to serve over one thousand, became a financial burden. 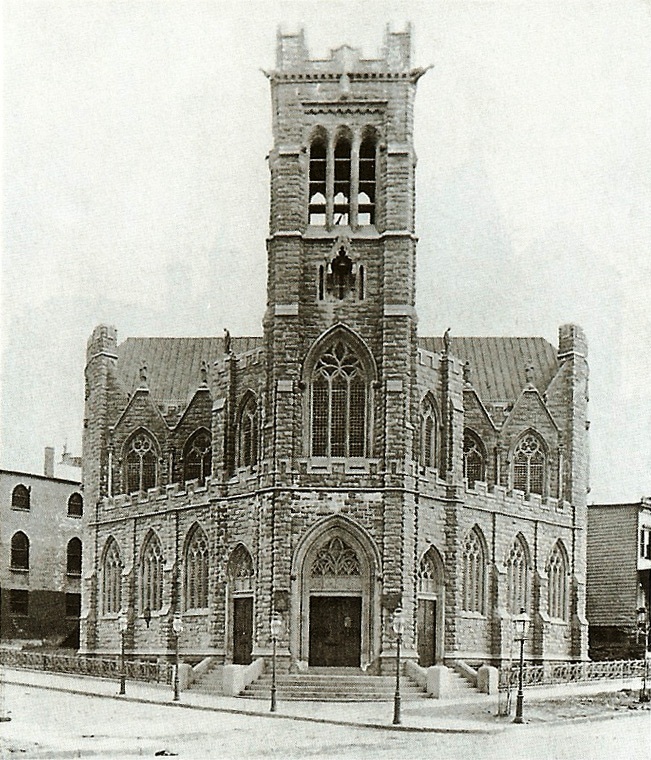 The offices and the services were moved to the parish house and, once again, this time in 1979, a church edifice of All Angels was demolished. In place of the great Gothic Revival church a 21-story apartment house was built. 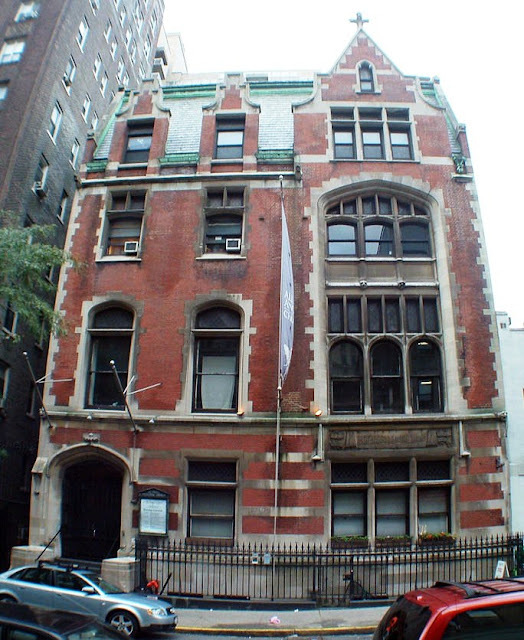 From its distinguished Hardenbergh home, All Angels holds two services on Sundays and evening services on the weekends when the homeless are invited to participate. Meals are served afterwards. On Sundays the church offers an evening shelter and a community meal. “Pathways,” a weekly program, provides clothing, showers, and social, psychiatric and medical services for those in need.